We know that "assessment" is a buzz word that we can't get away from...we talk about standardized testing. About rubrics. About standards-based assessment tasks. About--YOU fill in the blank. One of the often under-used assessment strategies is SELF-assessment. This can be something as simple as a "thumbs up" if a student understands but can be far more involved and useful. Interested in some of the brain research on this? Check out this GREAT article by Jo Boaler! 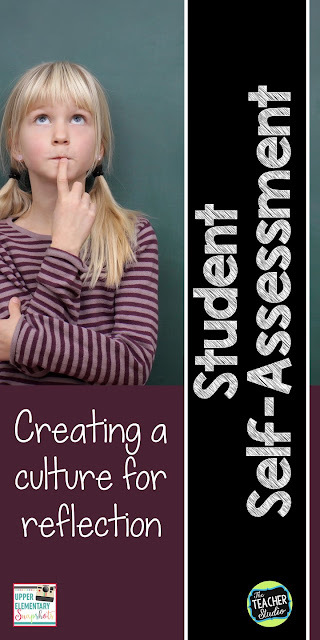 Today I want to talk about some of the issues related to self-assessment--and to give you some suggestions on how to create a culture where students will be able to make the most of the opportunities you provide them. One thing I have definitely discovered is that if students don't feel "safe" in our classroom environments, there is no way for them to open and honestly assess themselves. It's hard to admit that you don't understand when the culture stresses speed, accuracy, and competition. The more we can strive to develop a "team" feeling of collaboration where we, as teachers, can model risk taking, how we handle mistakes, how we assess ourselves, and so on--the easier it will be for students to be honest about their own struggles. We should CELEBRATE mistakes in our classrooms! The research supports this. Making mistakes can actually grow the neural connections in our brains. ADDRESSING the mistakes makes them even stronger. Teach your children this! Make it not only safe, but DESIRABLE. Consider doing activities where mistakes are inevitable. Ask students to share which problems were most challenging and how they tackled them. Ask students to share errors they found and how they went back to find the mistakes. All of this can contribute to this culture of collaboration and learning. I recently wrote a blog post that goes into more detail if you are interesting. Just click the image below. If we DO want students to participate in a classroom culture such as this, we need to give them the language to do it. 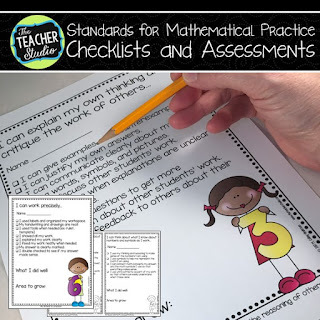 Providing sentence stems and other anchor charts that give them phrases to use to help them communicate their level of understanding can go a long way. This can be more "general" information for them like a list of accountable talk stems like..."I'm not sure I understand" or "Could you explain that again?". Sometimes we might want to be more specific to the content we are studying. 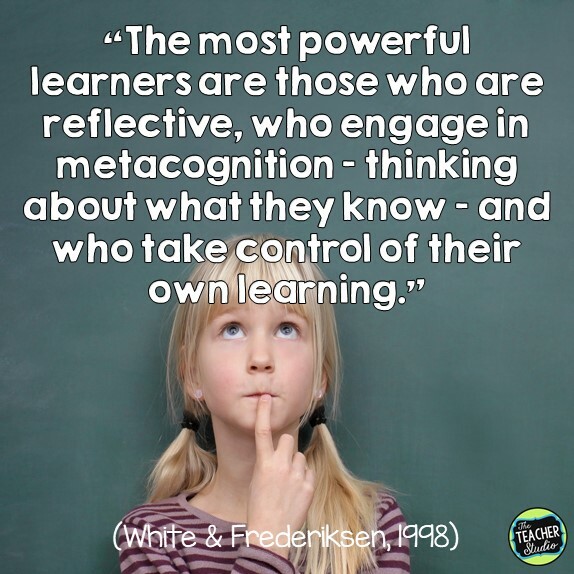 If we truly want students to be able to honestly assess themselves, they need to know what it is that they are trying to accomplish! It needs to be more specific than "I can multiply big numbers." or "I can comprehend what I read." What does that look like? In what contexts? We need to get better at breaking down these huge ideas for students so they can do a better job of monitoring their own progress. One area where this is particularly challenging is in those more "behavioral" elements of our classroom life....reading habits, partnering skills, and so on. 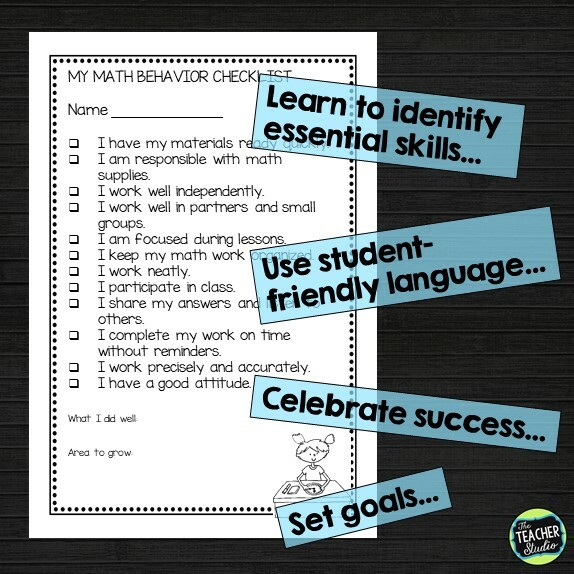 In math, there is a whole set of standards geared toward getting teachers to more explicitly teach these "math behaviors" to help students be successful. That being said, it's sometimes easy to attach ourselves to the easy words in these standards--words like "accuracy" and "precision" and "perseverance". If you do a deep dive into these standards, you will see there is much more to them than that! 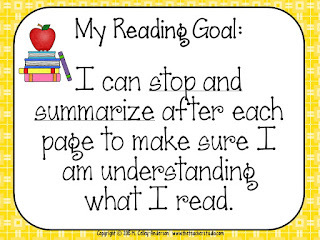 I've spent a lot of time breaking down reading and math into these small, measurable goals for students that make it easier for them to talk about and measure their own progress. Early in the school year, I focus more on overall behaviors. We brainstorm what they are, we talk about them, we share examples of them, and then we practice self-assessing them. We use these checklists multiple times and really try to make the language in them a part of our daily conversation. As the year goes on and I start to dig into the other more complex standards, we do the same thing. 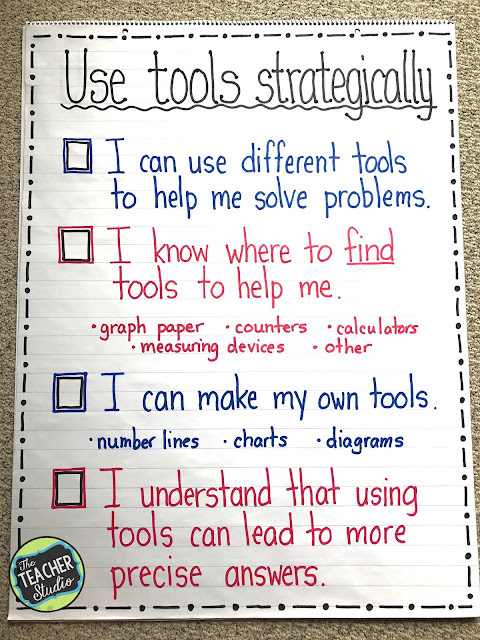 Rather than tell students that they need to "Use Appropriate Tools Strategically", I think it's important to break that down with them so they really know what that means. Since taking the time to do this, I have seen a DRAMATIC improvement in students' reflectiveness AND skill level! It is worth the time investment! I hang these "focus charts" up when we are really digging into one of the standards but then students keep a copy of the self-assessment checklist so they always have access to it. We can pull those out to review at any point. 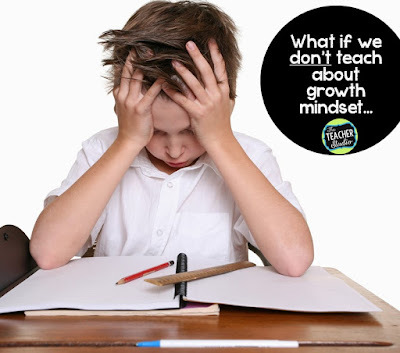 Similarly, by always including a part of the assessment where students can express what they did WELL as well as set a growth goal, it forces them to acknowledge where they are strong in addition to identifying areas where growth is needed. Interested in the checklists shown above? Just click the image below. 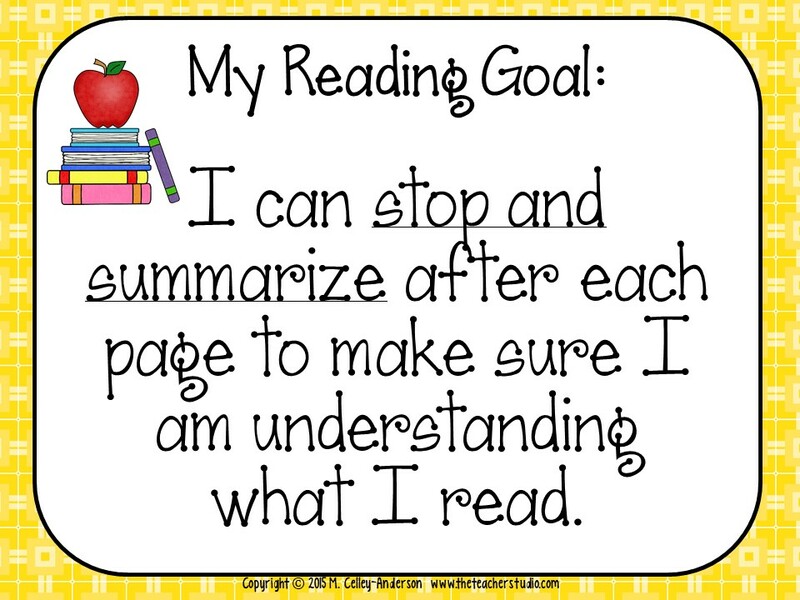 My reading goal resource can be found by clicking HERE.